Mexborough has been handed a security boost with a major upgrade to transform the town's closed circuit television camera system. The upgraded cameras, including one on the Adwick Road roundabout, have been connected up Doncaster's CCTV suite where they are monitored jointly by Doncaster Council and South Yorkshire Police. They come at a time when concerns are being raised about levels of antisocial behaviour in the town. Other cameras in Mexborough have also been upgraded and operators can now communicate directly with anyone who may be behaving anti-socially by using a tannoy system at specific locations and let them know that their actions are being monitored. Councillor Chris McGuinness, cabinet member for communities, said: "These cameras are the most modern on our network and the excellent images they record and transmit are an important deterrent to prevent and reduce crime and anti-social behaviour." Ward councillors for Mexborough have raised concerns about the number of apparently homeless people in the town, and say they think believe antisocial behaviour has been an issue there. Coun Bev Chapman said: "I think we've got a rise in homelessness - we have seen them on the High Street. We think there may be some displacement from the town centre. Coun Sean Gibbons said there was concern those people may be drawn into drugs and alcohol, and was worried it was putting people off using Mexborough town centre. 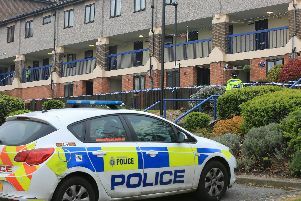 He also said there had been an issue with antisocial behaviour which he thinks is connected. "We would love a public spaces protection order like that which has been put in place in Doncaster town centre," he said. "We think we have seen a noticeable increase in new faces on the streets." Coun Andy Pickering said "We have no complaints about what the council is doing but we think there is an issue." Debbie John-Lewis, assistant director for communities for Doncaster Council, said: “We have not seen an increase in anti-social behaviour or homelessness in Mexborough in the past few months. We are aware of five individuals who are seen in and around Mexborough and we are working hard to try to engage with them to offer them help and support. “We have been working with the community and local members in Mexborough for some time to address issues of anti-social behaviour. Recently we have upgraded the CCTV system in Mexborough town centre."